Marchionne: "The worst is behind us." PARIS (Reuters) -- Fiat Chrysler Automobiles has no need for a capital increase to fund its ambitious five-year growth plan, CEO Sergio Marchionne said. Marchionne said, however, the board of the newly merged company would examine all capital-boosting options, including taking on more debt, a mandatory convertible bond and a possible capital increase, at the end of the month. "A capital increase is not necessary" to fund the growth plan, Marchionne told reporters at the Paris auto show on Thursday. FCA, which is due to list shares on Wall Street on Oct. 13, plans to invest 48 billion euros ($61 billion) over five years to boost sales by 60 percent to 7 million cars. Analysts said the targets were very ambitious, especially for the highly indebted company. 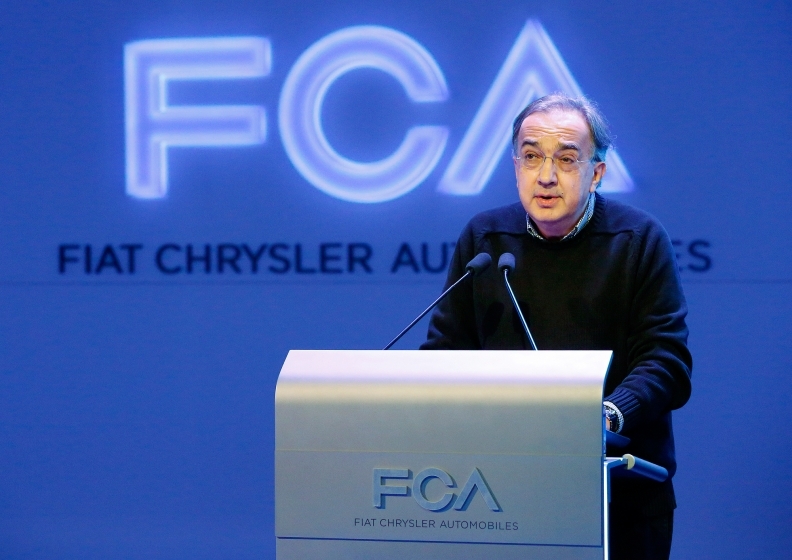 Marchionne also confirmed FCA's full-year earnings targets, saying the carmaker was in a better position to manage the persistent weakness in the Latin American market than some competitors. For 2014, the auto group expects to raise operating profit, excluding one-off items, by as much as 14 percent. Following weak second-quarter results, analysts are expecting the company to cut its guidance. Marchionne said the company's strong position in Brazil gave it a 2 percent advantage in margin terms over other carmakers, saying the experience of Ford, which issued a profit warning this week, did not necessarily apply to its experience. However, Marchionne did say the group would look at its full-year guidance when it reviewed its third-quarter earnings. He said while there was some recovery in the European car market, there was still a long way to go. "I'm not hopeful that the 2015 volumes are going to be substantially different (than this year)," he said. "But I do feel relatively comfortable saying that the worst is behind us." Marchionne said he expected the situation in Russia, where the market slumped after Western sanctions over Ukraine, would eventually stabilise, but only in the medium term. Whoever had "expectations about Russian volumes coming back quickly in the next 12 months is in for a big surprise", he said. Marchionne, who is also due to take over the chairmanship of Ferrari, said the plan was still to keep sales of the luxury cars capped at 7,000 a year until 2018 to preserve the brand's exclusivity. However, sales could eventually be increased to keep up with demand from the super rich. "It is an exclusive brand and it needs to be religiously fanatical about the number of cars it builds each year," he said, but added that Ferrari had "an obligation not to choke supply". An initial public offering for Ferrari was not on the cards right now, Marchionne reiterated. FCA expects a new strategy focusing on exports of Maserati, Alfa Romeo and Jeeps to help override some of the weak demand in its traditional markets, especially Italy, which are only slowly recovering from a six-year slump in car sales in Europe. The carmaker will present the first new Alfa Romeo in June next year and Marchionne vowed the brand had the potential to be "on par if not better" than premium German carmakers. Marchionne expects the New York listing to help establish the world's seventh-largest carmaker as a global player. He is planning a roadshow in November to boost investor interest. Marchionne said the fact FCA sold more cars in North America in September than the world's largest automaker Toyota showed the company had come a long way since Fiat helped rescue No. 3 U.S. carmaker Chrysler from bankruptcy in 2009.